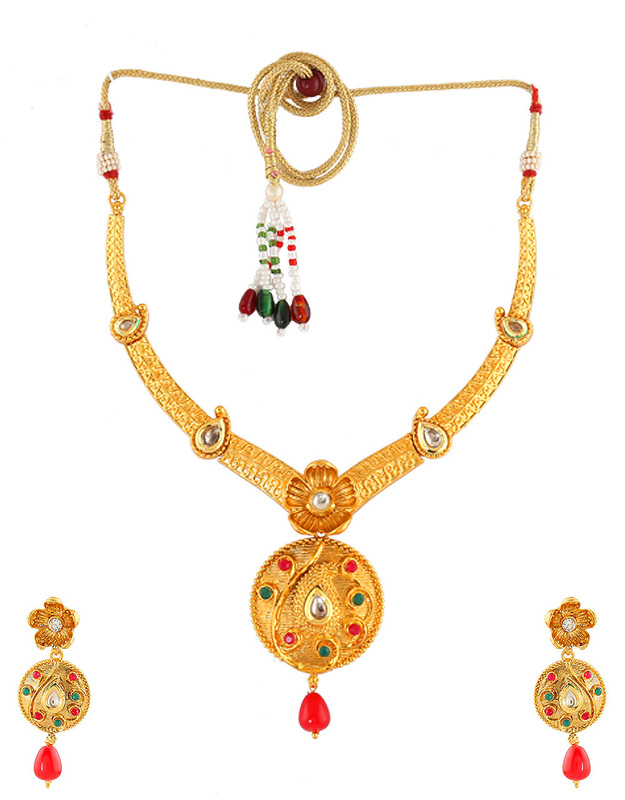 Multi colour appealing necklace set from Anuradha Art Jewellery will help to get that perfect traditional look. 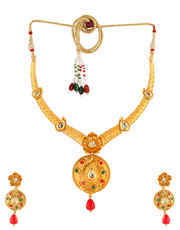 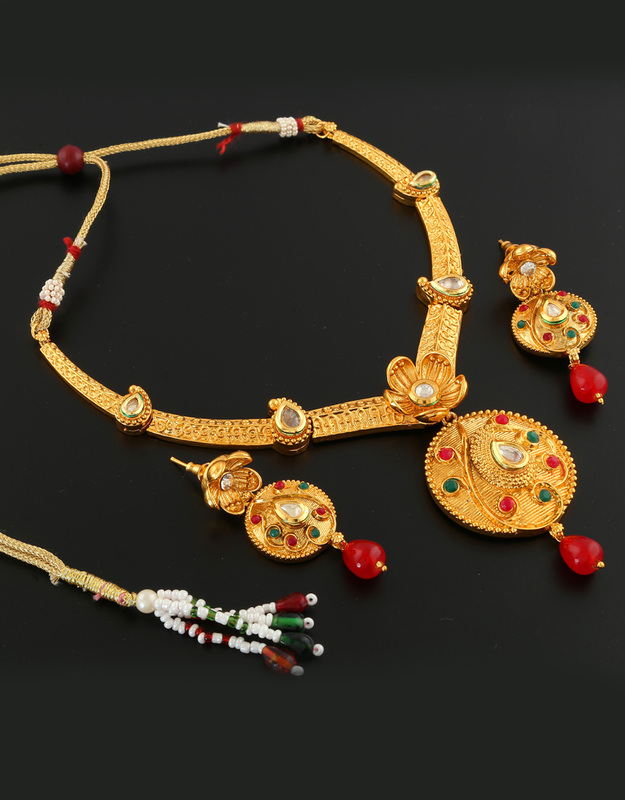 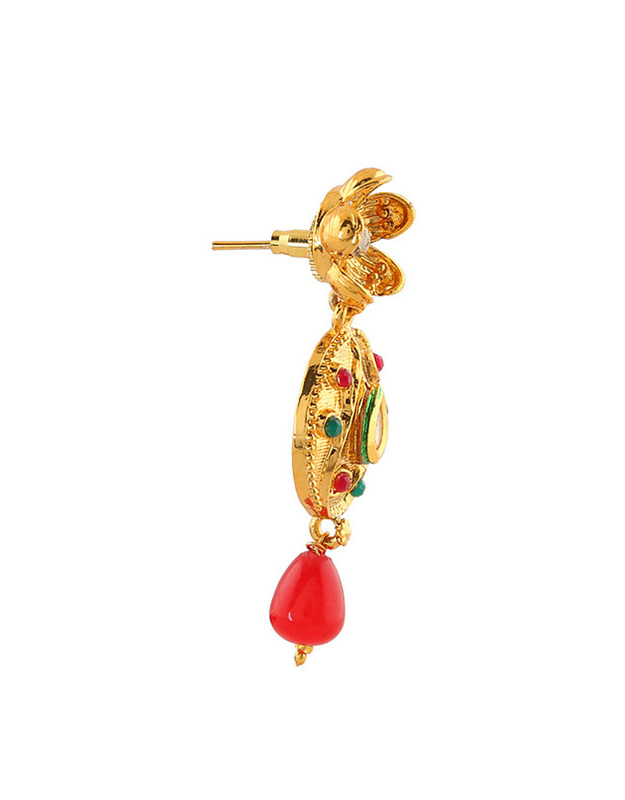 It is embedded with kundan along with multi colour stones and made from golden finish metal. 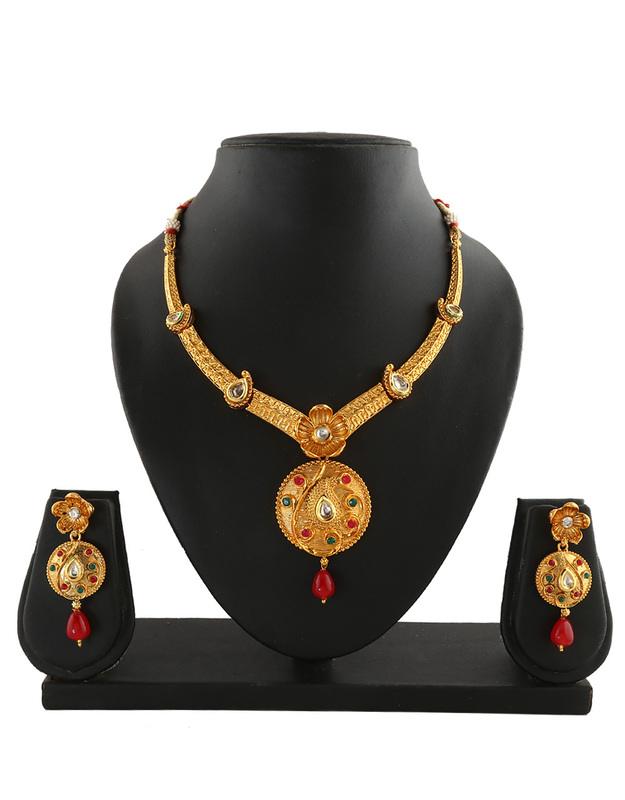 This necklace set has droplet for added attraction. 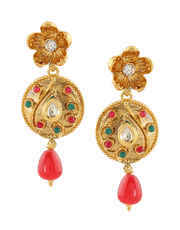 It is good in quality and will be your fashion companion for many years. So order now!